What is the biggest lesson you have learned to get to where you are today? Don’t be afraid to have big dreams and if you work hard they are achievable. When I was younger, I told people that one day I would be in the Olympics and some of my classmates said I was foolish. However, my family and I kept believing in my dream and I worked hard. Then in 2014, I was able to achieve my dream on my 16th birthday. How has being a Canadian athlete allowed you to give back to your community? 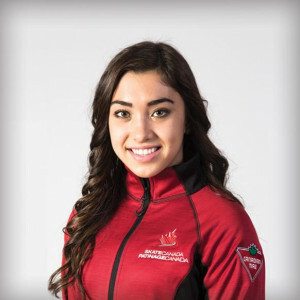 By being a Canadian athlete who is competing at the international level it has allowed me to become a role model for the youth in my community and country. 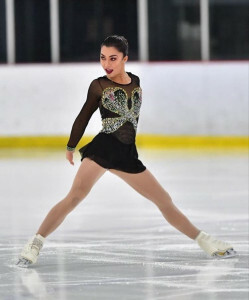 l visit local schools in my community, make guest appearances, specifically the MS Walk in Newmarket and Gay Pride, perform and speak at Summer Skating Camps including The Brian Orser Camp and Winning Techniques where there is a lot of youth/skaters. Hopefully I can inspire young people to chase after their own dreams or goals whatever they may be. I also visit the elderly at the Seniors Health Centre in North York every year where I give out all the stuffed animals I’m given at Nationals. We always take lots of pictures for the families. I am looking at other charities that I can get involved with.